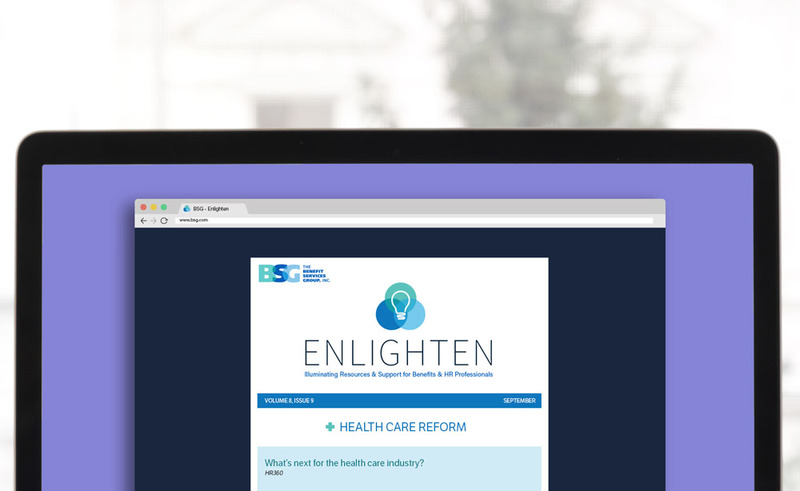 Learning & Resources | The Benefit Services Group, Inc.
Vantage Points is a free, monthly e-newsletter that summarizes top national news stories on health care reform, federal and state regulatory issues, and trends in the market. Vantage Points is published monthly by BSG, pulling together resources from industry thought leaders. BSG’s Health Care Reform Updates provide timely information about changes in health care reform. Subscribe now to ensure you never miss a thing! It offers hundreds of downloadable resources from HR forms and posters to frequently asked questions. BSG subscribes to this service for our clients' benefit. To access this online HR information library, clients may visit HR360.com and log in with the username and password provided to you by BSG. If you have issues accessing the site or have additional questions, please contact your BSG account management team.